Prepare to experience incredible performance when the new 2019 Ram 2500 and 2019 Ram 3500 heavy-duty pickup trucks arrive at our Ram dealership near Rincon, GA! The 2019 Ram 2500 and 2019 Ram 3500 release date are set for Spring 2019 and Georgia drivers are already pre-ordering their 2019 Ram commercial trucks at our Georgia Ram dealership. 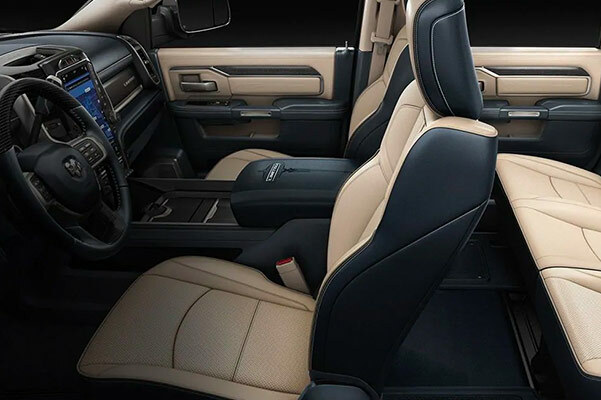 The 2019 Ram 2500 and Ram 3500 towing capacities couldn't be more impressive, and you're sure to love the interior of this new Ram work truck, too. Get directions to Jimmy Britt Chrysler Jeep Dodge Ram to pre-order a 2019 Ram 2500 or 3500 pickup and get to work today! 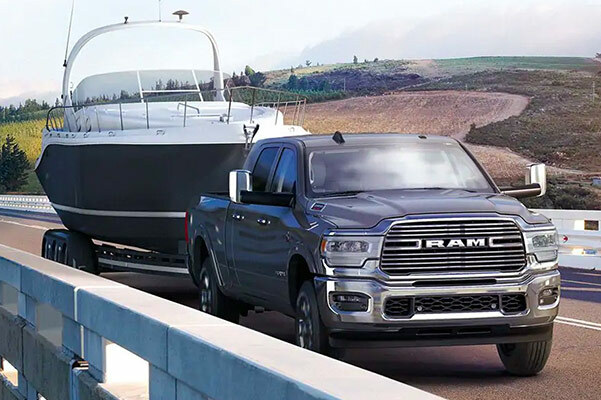 Curious about the 2019 Ram 2500 towing capacity and specs? Know that this new Ram commercial pickup boasts a best-in-class 19,780-pound towing capacity when equipped with a diesel engine. If you opt for a gas-powered Ram 2500, you'll be happy to know that it offers a best-in-class 410 horsepower. Your Ram heavy-duty truck can even haul up to 4,050 pounds! Still need more power on Rincon worksites and roads? Buy or lease a 2019 Ram 3500 near Rincon, GA, and take advantage of the unmatched strength it offers. The 2019 Ram 3500 heavy-duty work truck boasts best-in-class 1,000 pound-feet of diesel torque and a best-in-class 35,100-pound diesel towing capacity when properly equipped. And for gas-powered Ram 3500 trucks, you'll benefit from a best-in-class 7,680-pound payload. Contact Jimmy Britt Chrysler Jeep Dodge Ram to pre-order a 2019 Ram 2500 or 2019 Ram 3500 truck and buy or lease a new commercial Ram. We're your go-to Georgia Ram dealer for commercial Ram sales and service, so head to our Ram finance center to learn your Ram financing options. Buy or lease a new Ram truck!